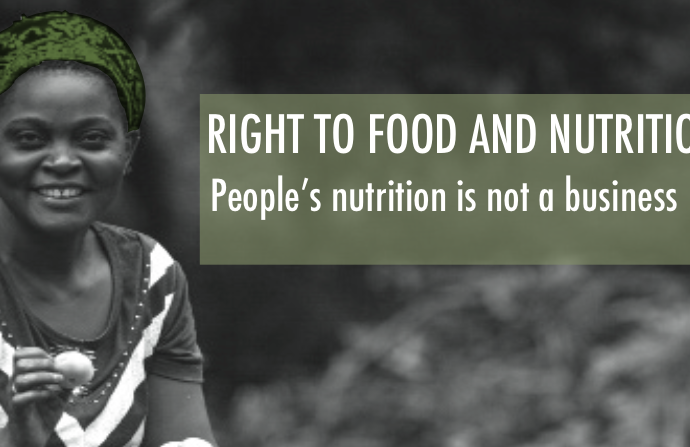 Peoples’ Nutrition is Not a Business. edition is entitled People’s Nutrition is not a Business. It focuses upon the corporate capture of governance, and exposes the impact of business operations on peoples’ livelihoods. Prior to the launch we will provide a brief presentation of LEVE’ research group Food, Human Rights and Corporations (FoHRC), and share with you some highlights from this year’s UN Forum on Business and Human Rights. Introduction by: Sidsel Roalkvam and Wenche Barth Eide, LEVE/FoHRC, University of Oslo. The seminar is organized by: FIAN Norway, LEVE, and LEVE’s research group FoHRC. The event is open and free to everyone, but requires registration. Please register through this link!